Hello, I saw your listing on busesonline.com. Please send me more information about Bus 2013 Forest River, Stock Number: F871. Super clean 2002 Chevy Express School bus with working wheelchair lift previously city owned in FL. A one owner diesel with only 75k miles and no accidents. This bus was extremely well maintained and runs great. All the seats are in tact no rips or tears. This bus would make an awesome party bus, RV camper, food truck, medical service or tiny home. Its perfect for churches, nursing homes and kindergartens! The rear AC Unit works great the front AC doesn't turn on but the rear AC maintains a cool temperature throughout the entire bus. This bus is located in Lake City, FL have your mechanic come check it out or take it for a test ride you won't be disappointed! I also have an identical bus with 61k miles All offers are welcome! 20 passenger seats ; handicap accessibility ; cold a/c ; runs great ! 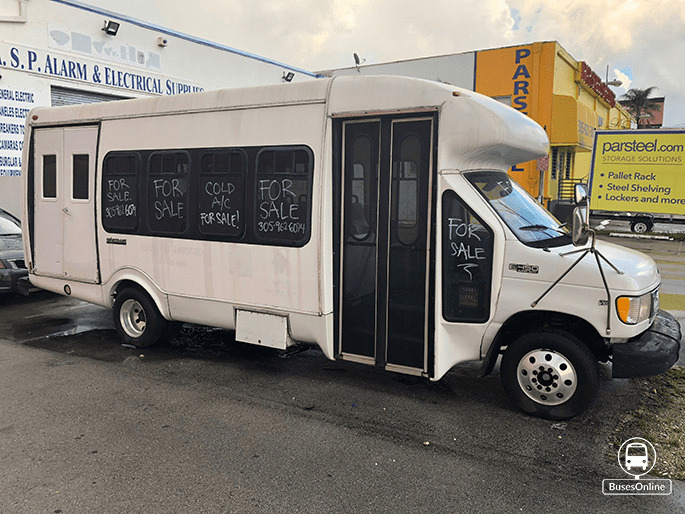 LIKE NEW CONDITION, Fully customized 2016 Westwind Coachworks Sprinter Limo Bus, very low mileage. Custom Audio/Video system, Custom Lighting, Bar, Wrap-around leather seating for up to 14, wood flooring. Turnkey and Ready to hit the Road for rentals!! !